Evening light filters through wet autumn grasses in Gifford Pinchot National Forest, Washington. One of my favorite things to do lately is to duck into a complete mess with my telephoto and see what kind of organization I can make out of it. It’s a fun and challenging way for me to approach scenes… one that gets me much more mentally and emotionally immersed in the scene instead of arbitrarily snapping photos of the obvious. 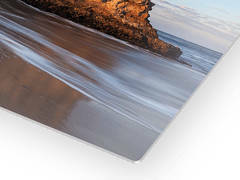 This was taken at a location with a grand view of a mountain. Low clouds circled the peak and soft pastels of sunset light filled the sky. 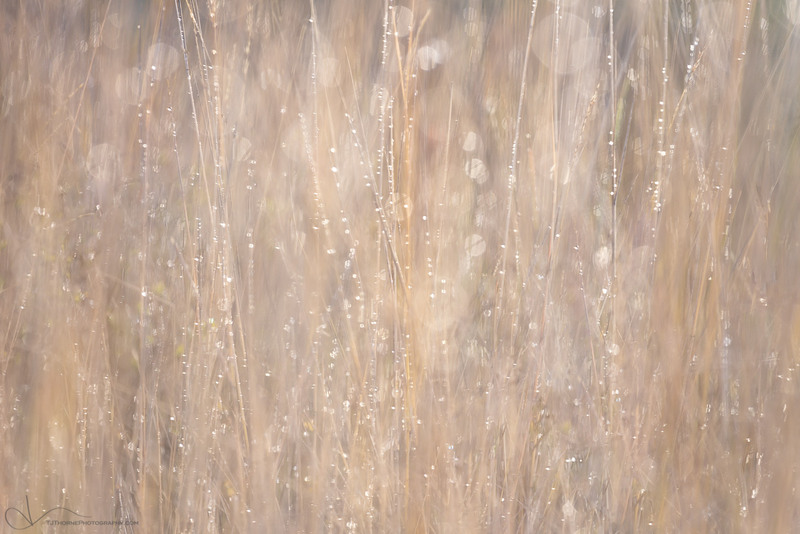 I, however, spent my time kneeling in the wet autumn grass and shooting the backlit rain that it was catching.